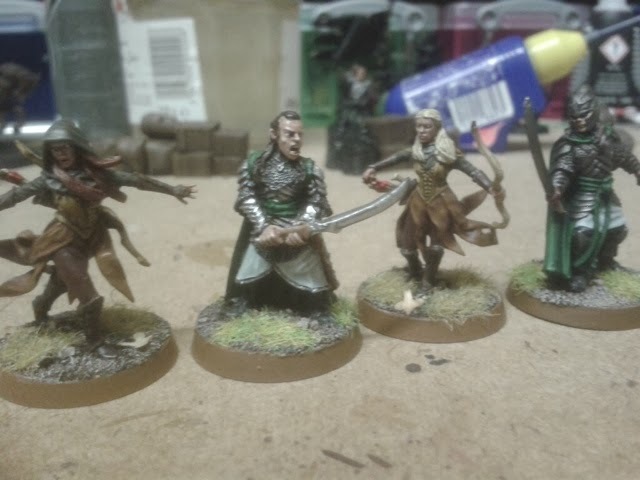 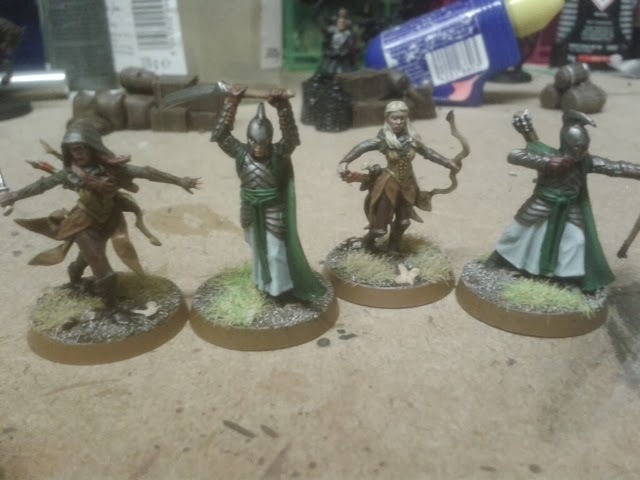 I've based the Rangers, using Winter Grass from Woodland Scenics and some silver birch seed cases I picked off the ground on holiday in Finland. 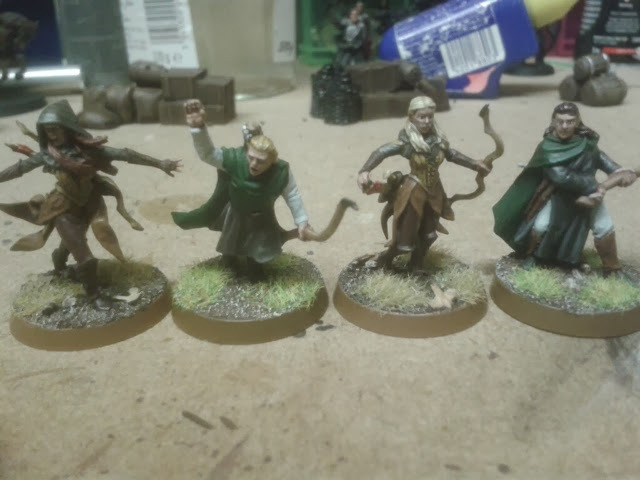 I was also asked about how these Elves compare to others in the LOTR range, so here are some comparison shots. 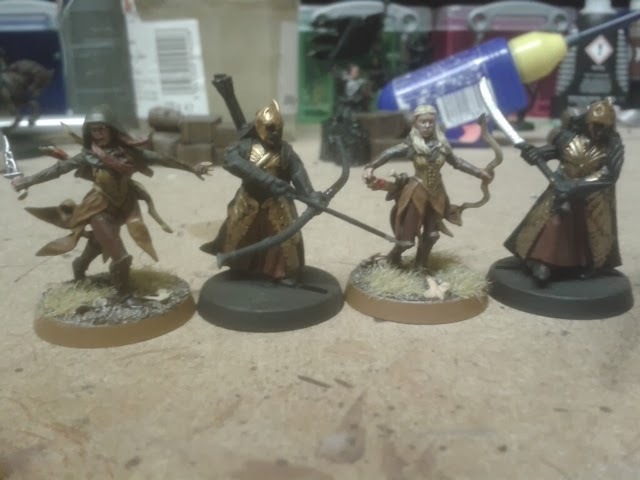 Please forgive the Galadhrim, that was how they arrived from eBay and I haven't got around to painting them yet. 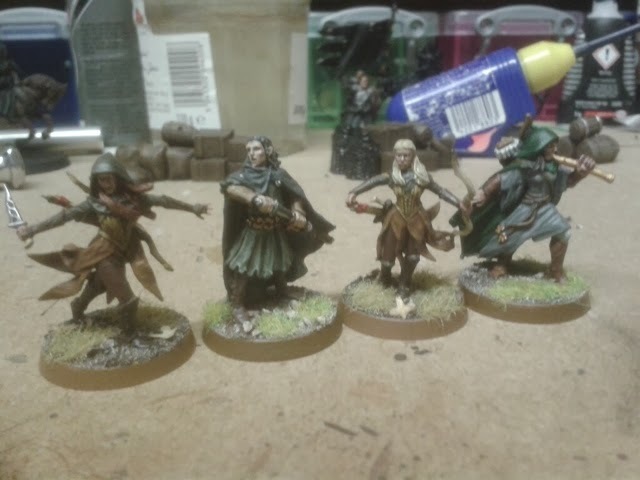 As you can see, the Rangers are a similar height to the older models, but are much slimmer. 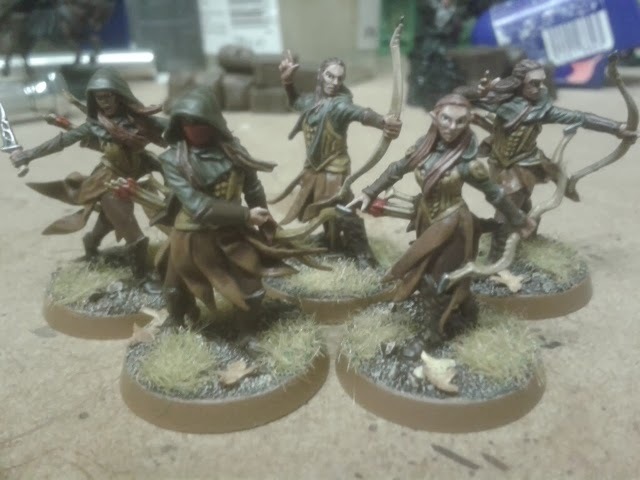 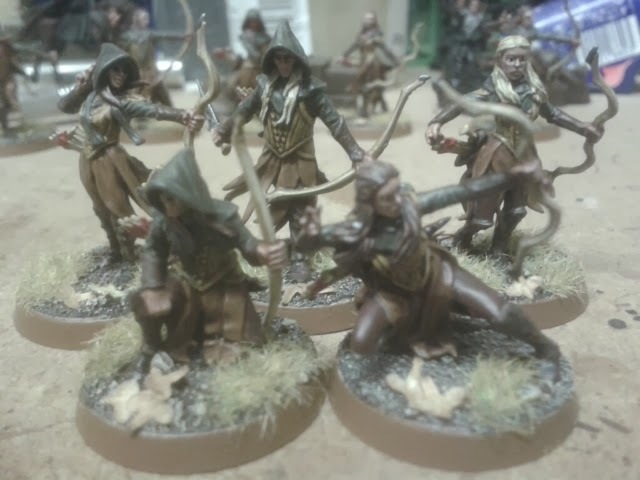 They don't look too out from the plastic High Elves which are notoriously small sculpts.